New Searles Elementary School art teacher Corrine Stoney on Friday gives some advice to fifth-graders Keegan Dolan, left, and Emily Kakas as they work with their group on their Gallery at the Wall submission. 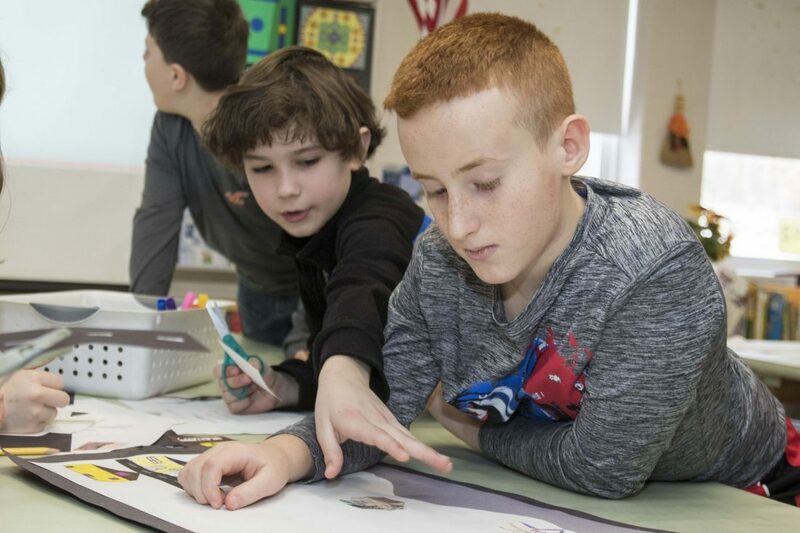 Telegraph photos by MATHEW PLAMONDON During Corinne Stoney’s art class at New Searles Elementary School on Friday, fifth-graders Kieran Besada and Cole Warshafsky work with their group on their Gallery at the Wall project. 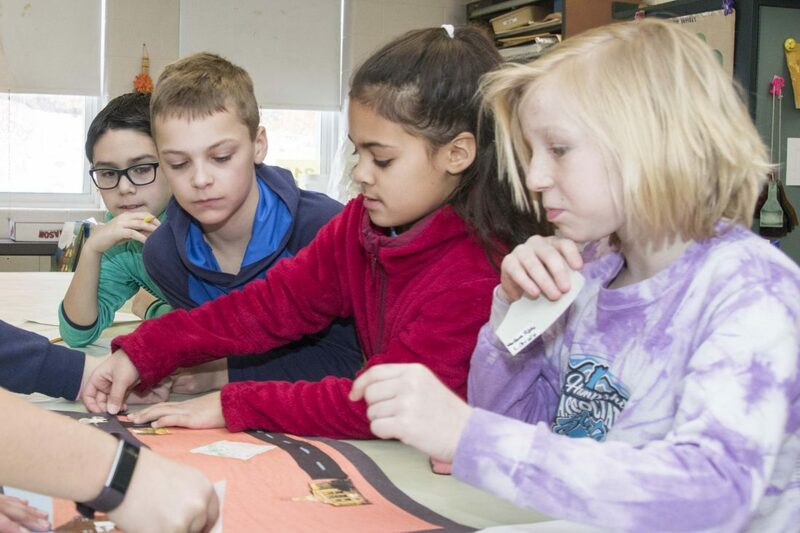 New Searles Elementary School fifth-graders Joel White, Gavin Asimakopulos, Elisie Goyette and Keegan Dolan work on a group project that will be submitted for the Gallery at the Wall project. 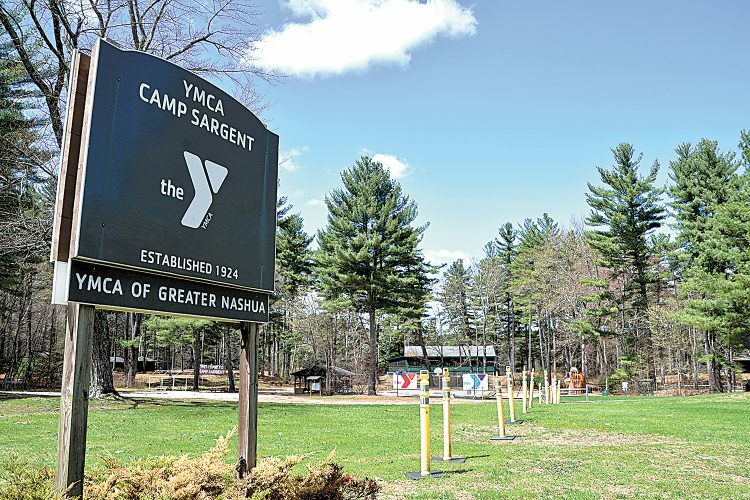 NASHUA – With time for submissions for the Rotary Common Park Gallery at the Wall project running short, young artists across Greater Nashua are finishing their projects. With a theme of “Together we rise! Weaving the Social and Cultural Fabric of Nashua Through the Celebration of Diversity and Inclusion,” students across the city have been working to define what this means to them through use of artistic expression. 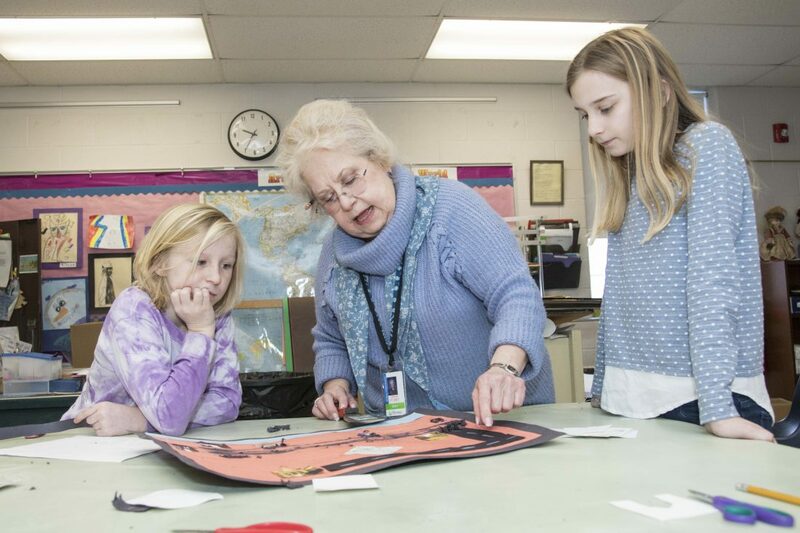 Stoney, whose students are working in groups on a triptych inspired by famous Vermont artist Grandma Moses, said the project has helped her teach students what it means to be be a community. 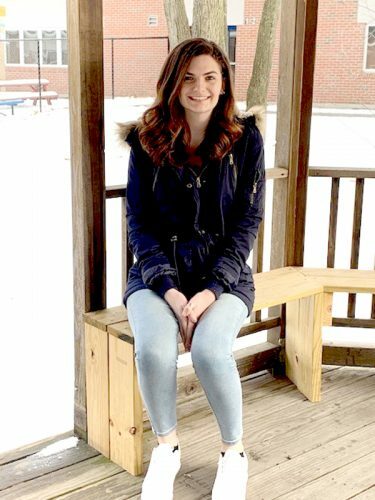 While some classes have been working on individual projects, Stoney separated the class into three groups, with each representing one of the three seasons that happen throughout the school year: fall, winter and spring. The students then researched locations they believed to be significant, while determining how they fit into the theme of diversity. Students and teachers throughout the Nashua School District have until Feb. 1 to complete and submit their artwork. The submissions will then be reviewed by professional artists Monique Sakellarios and Madeleine LaRose and the Gallery at the Wall Committee on Feb. 4. Final selections will be photographed and turned into acrylic paintings. These acrylic paintings will be mounted to the wall and displayed from May through April 2021, with the opening ceremony set for 2 p.m. May 4.